INSIDE: Up to two lines of text allowed, 24 characters per line. 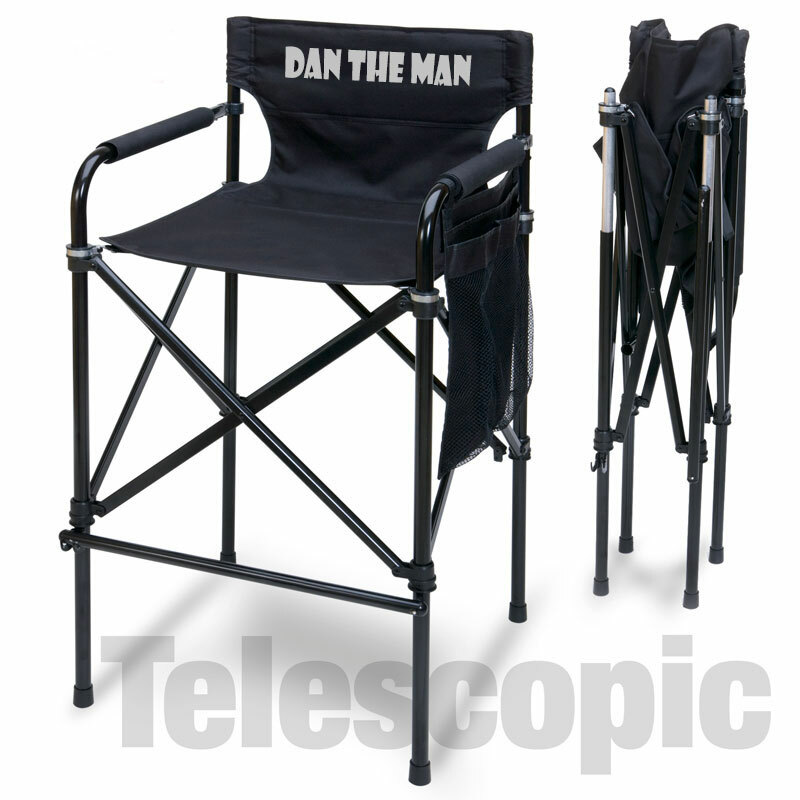 The Telescopic Tall Directors Chair changes the way directors chairs fold, making it more compact and easier to transport. 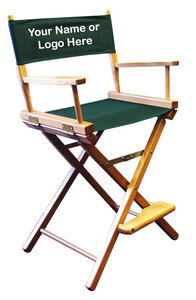 With ample storage in both side and back pockets, it is the perfect exhibitor's chair. 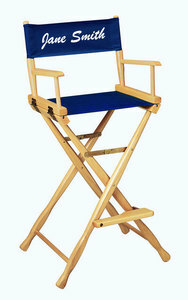 Rust free aluminum frame and 8 stabilizer bars improve stability. Conservatively rated at 250 lb. 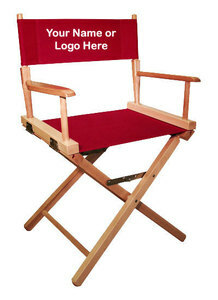 weight capacity, this bar height directors chair makes it easy to get in and out of. 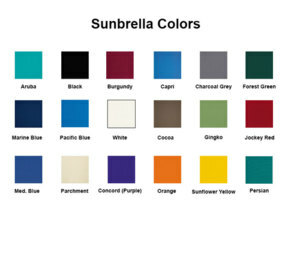 Fabric is strong, stain resistant 600D Polyester fabric.